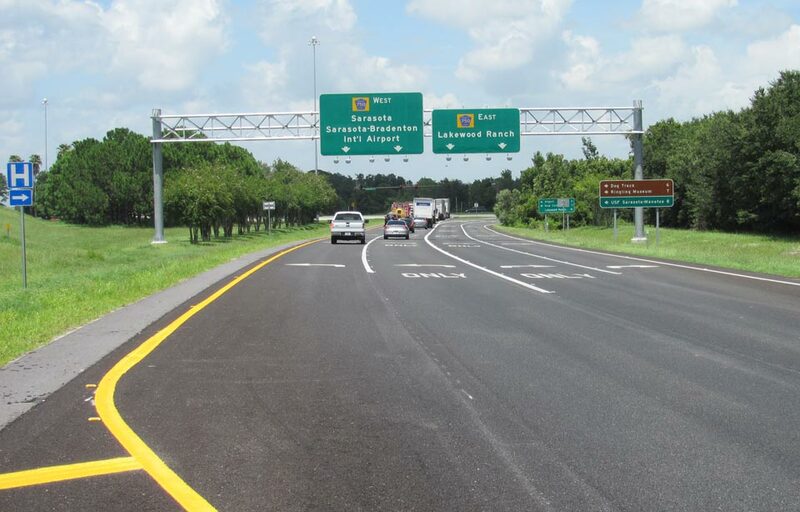 KCA was the lead engineer for this I-75 design-build interchange capacity project that included the University Parkway interchange in Sarasota County. The improvements included additional turn lanes and storage, complete milling and resurfacing of the ramps and portions of the cross roads, new mast arms signals with video detection, new signing and pavement markings, three new lighted overhead sign truss structures, and improvements to the existing high mast interchange lighting. These improvements required the analysis, design, and permitting of four new stormwater ponds and associated drainage upgrades. A minor wetland impact required permitting. Through extensive utility coordination and subsurface utility exploration, our team set the location of all new mast arm and overhead sign truss foundations and avoided several potential utility conflicts.